Entry is free. Please confirm your participation in advance so we can make arrangements accordingly. Join a gathering with an agenda to watch a documentary film on Indonesia forest and impacts on the wildlife due to the deforestation. 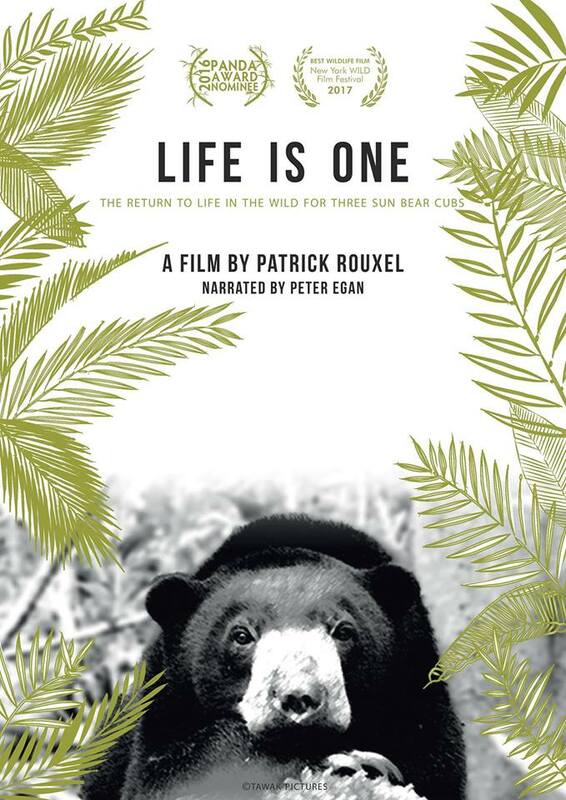 “Life is one” is a film by Patrick Rouxel who is an independent filmmaker for environmental conservation. Let’s listen, interpret, reflect and raise our voice towards sustainable consumerism and our oneness with earth. The film duration is 52 minutes. This gathering will be facilitated by a post-screening discussion. The film is a tribute to life on earth, a reminder that we are all connected and that we owe respect and compassion to those we share the planet with, it would be ideal for the people who are willing to bring silence throughout the gathering. This is the story of three orphan sun bear cubs from Indonesia and their return to the wild. The story is told by the foster parent of these cubs who accompanied them to their independence. The viewer is placed in total immersion with the bears in the rainforest and discovers how beautiful, joyful and energetic they are. This film screening is planned as a part of International Day of Forests 2019. The theme for 2019 is Forests and Education.